Ecopetrol SA (ECOPETL), Colombia’s state-controlled oil producer, is in talks with possible partners to bid for Brazil’s largest oil prospect this month. 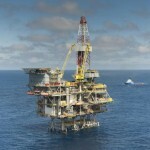 The Bogata, Colombia-based producer is weighing the benefits of joining a bidding group as a minority partner at an Oct. 21 auction the Brazilian government will hold for the Libra field off Rio de Janeiro’s coast, Chief Executive Officer Javier Gutierrez said in an interview from his office today. Teaming up with Brazil’s state-run Petroleo Brasileiro SA, or Petrobras, would be the best option, he said. Colombia’s largest oil company, with overseas operations in Brazil, the U.S. and Peru, is seeking to boost reserves and meet a production target of 1 million barrels a day by 2015. 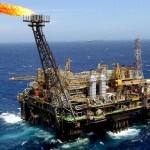 Brazil estimates there are as many as 12 billion barrels of recoverable oil in the Libra field, the first prospect to be sold under new production-sharing agreements for a deep-water area known as pre-salt. “We are talking with everyone but you have to wait,” Gutierrez said. Ecopetrol still plans to meet its current production target of 798,000 barrels a day by year end, Gutierrez said. The company is waiting for further details from Pacific Rubiales (PRE) about a potential production-sharing agreement in the Rubiales field after 2016, when Pacific’s license for the field expires. Last month Pacific Chief Executive Officer Ronald Pantin proposed that Ecopetrol keep all primary oil production in the field under a new license, with the two companies sharing secondary production extracted using Pacific’s STAR technology. Ecopetrol has issued bonds both at home and abroad this year as it looks to finance a $75 billion capital expenditure program between 2013 and 2020. Ecopetrol will use some of the money from last month’s $2.5 billion overseas bond sale to pay suppliers outside of Colombia, Gutierrez said.